Hi guys! It's been reallllly hot here the last couple of weeks, so I've been wearing bright and fun colours to fit the weather. Today I will be showing you 2 of them: Julia and Kelly! Julia is a lovely and blue with iridescence and Kelly is a vibrant green and gold mix. I paired both of them with a similar base colour, since both have a clear base themselves and I used Julia to make a gradient. 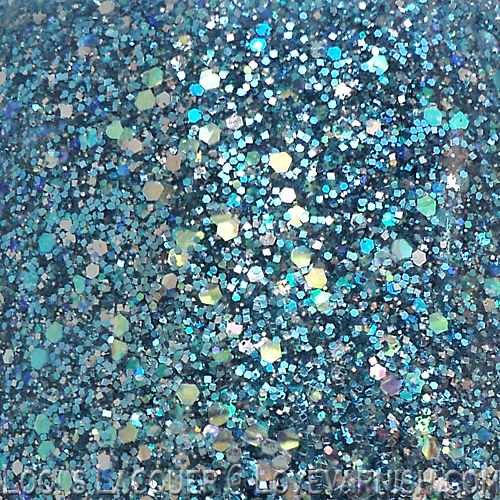 Julia is a very sweet and soft light blue mix with a lot of larger iridescent glitter. 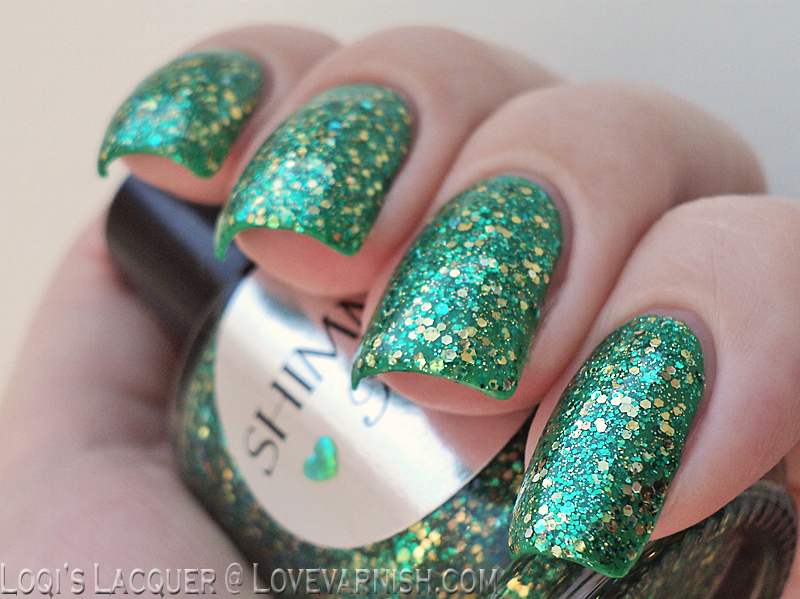 It's such a lovely combination, just look at the bottle shot, <3 gorgeous isn't it? Since Julia has a clear base I made a gradient with it over H&M U Must Have This, a light blue crème. I got a lot of compliments on this manicure! The glitter really popped in the bright weather, it's super sparkly! 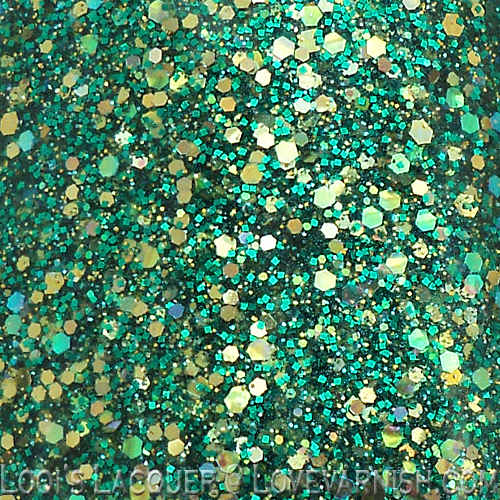 Kelly is a really bright mix of small green and large gold glitter. It also has a clear base though, so it's best to layer it over something for the nicest result. I used Kiko 296 Meadow Green (one coat) for this. Then I layered 2 coats of Kelly over it and topped it off with topcoat. 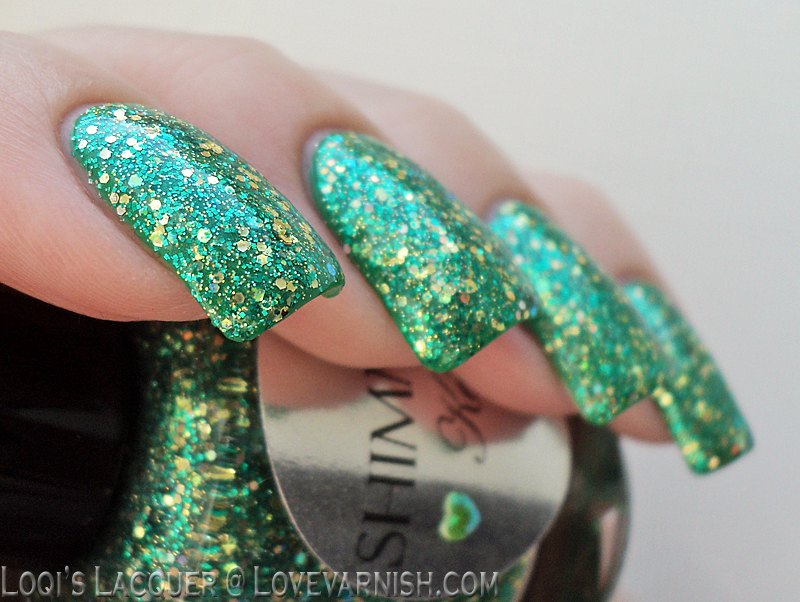 For those wondering, I always use Poshé topcoat. My current bottle has gotten a bit thicker, so it's perfect for glitter polish. Woah, I loooove how Julia looks! Gorgeous!